Kyoto is a top travel destination, with good reason. It's famous for its temples, world heritage sites and more relaxed lifestyle. But Kyoto has a lot of other things to offer the willing adventurer and the open-minded explorer. Are you one of them? Put these 10 things on your bucket list—and get ready, because of course it includes geisha! If you've ever wondered why Japanese fabric and kimono are sometimes quite expensive, it's because of the time and technique that goes into creating them. 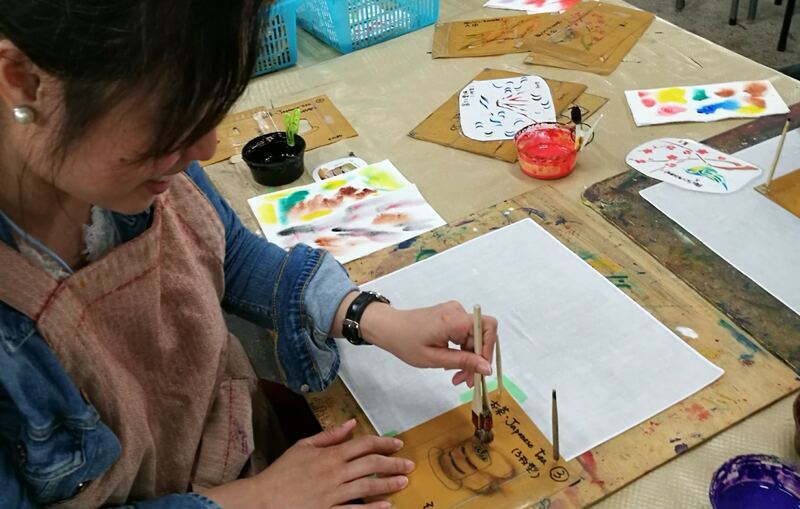 Dyeing and stenciling different patterns on kimono and other fabrics is often very detailed and time-consuming. The great thing is, you can get hands-on with this experience for yourself! 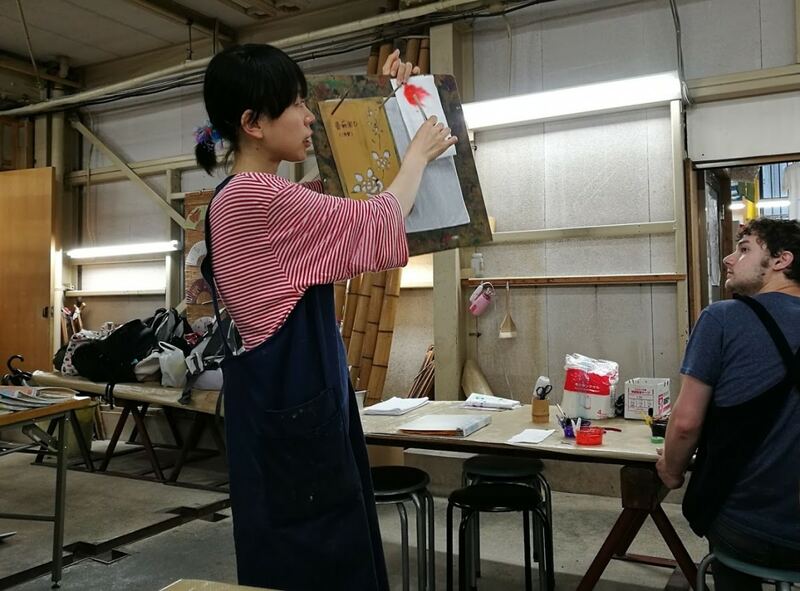 In this kitsch shop called Marumasu , you can get your very own crash course on stenciling. Lessons are available in English and there are just so many patterns to choose from, even on your first try. You can also observe the workshop, where artisans are hard at work on hand-painted cloth designs. How about an umbrella with a "big reveal" as you use it? The sheer abundance of crafts, art and food in Kyoto can be overwhelming when it comes to time to buy souvenirs, so why not take something home that's stylish and useful? There are several different designs to choose from, but one particularly beautiful pattern reveals blooming cherry blossoms when the umbrella gets wet. Nothing quite like this in Tokyo! Kyoto is also one of the best places to monkey around—pun intended! The Japanese macaque (often referred to as "snow monkeys," due to their penchant for soaking in outdoor hot springs) are only found in Japan, and catching them roaming around freely is quite the experience! Meeting these monkeys at the Arashiyama Monkey Park requires some simple hiking skills, but the view of Kyoto from the top is definitely worth it! In the wild, birds and cats aren't the best of friends. But at the Owl and Bengal Cat Forest in Kyoto, they've somehow put aside their difference to peacefully co-exist. These fur babies and winged buddies are even willing to share their space with humans! If you have time to spare in Kyoto, and you want a one-of-a-kind experience with not-so-ordinary animals, be sure to stop by for some feathery, furry cuteness. They also have branches that cater specifically to adorable shiba inu dogs, if you're not a cat person. Speaking of not being a cat (or owl) person, there are plenty of other alternatives if you're looking to get your fix of cuteness. Why not use some of your free time at one of the several hedgehog cafés in Kyoto? Cat cafés are pretty common in Tokyo, but the unique animal cafés abound in Kyoto. Head to Teramachi Dori for some extensive shopping and delicious food, but also spend some time chilling out with furry hedgehogs. Japan may be well-known for its very efficient and convenient train systems, including high-speed bullet trains, but Kyoto has kept some transportation systems running in the city for some nostalgia. The tram or streetcar in Kyoto is a good way to get to Arashiyama. The Arashiyama Tram was founded in 1910, and has been in operation for the last 100 years. So if you use this train to move around Kyoto, you're not only using a public transportation, but also experiencing history! Make sure not to miss the photo opportunity by the kimono cylinder posts at Arashiyama Station! You don't have to travel to the canals of Venice to enjoy a gondola ride! If you are on your way to the Arashiyama Monkey Park from the Saga-arashiyama shopping street, you will definitely not miss the bridge where these gondolas are docked. One trip runs for about 120 minutes and costs about ¥4,000 (about US$36). If you decide to do the Hozugawa Boat Ride during peak seasons—spring and autumn—you're sure to have a lot of Instagram-worthy photos by the end of the ride. A quintessential Japanese experience is dining out in an izakaya serving yakitori, delicious grilled chicken skewers. The famous chains in Tokyo, Kushiya Monotagari and Torikizoku do offer an extensive variety of Japanese dishes, but there's one unique item you definitely won't find on their menu— sparrow. Known as suzume in Japanese, when you're on your way to the famous temples like Tokufuji or Fushimi Inari, keep your eyes open for this unique specialty street food. Geisha do exist in Japan, even to this day, not only on the pages of stories like Memoirs of a Geisha. Some high-end restaurants in Kyoto like Ganko Takasegawa can arrange a two-hour meeting with a maiko or a geisha-in-training, while you and your group enjoy a traditional washoku Japanese course meal. During these two hours with the maiko, you're treated to a special dance that's definitely one for the books! It may be possible to spot a geisha on the streets if you spend some time in Gion, but it takes a special arrangement to get some actual face time. When in one of Kyoto's sit-down dinner places, you may request to spend time with maiko or a geigi (another word for geisha). Depending on your arrangement, you can watch a dance performance, have a question and answer with session or experience ozashiki asobi or geisha asobi, which is basically a game of reflex and speed. It may look easy at first, but in my experience in a group of 30 people, only one succeeded in actually outwitting her!